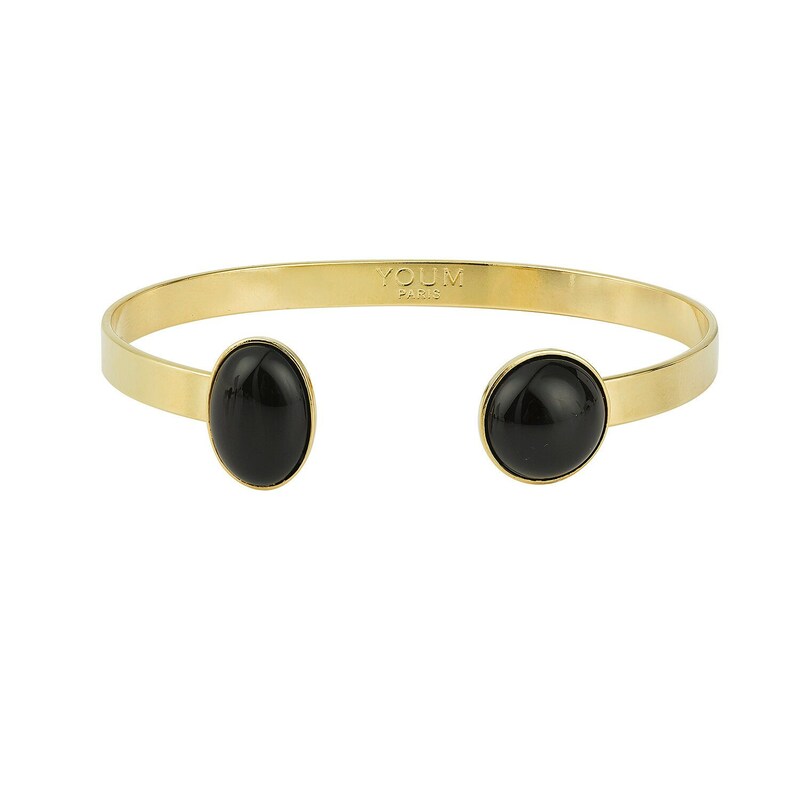 Bangle bracelet in brass with a 24 karats gold finish adorned with two black agate gemstones. 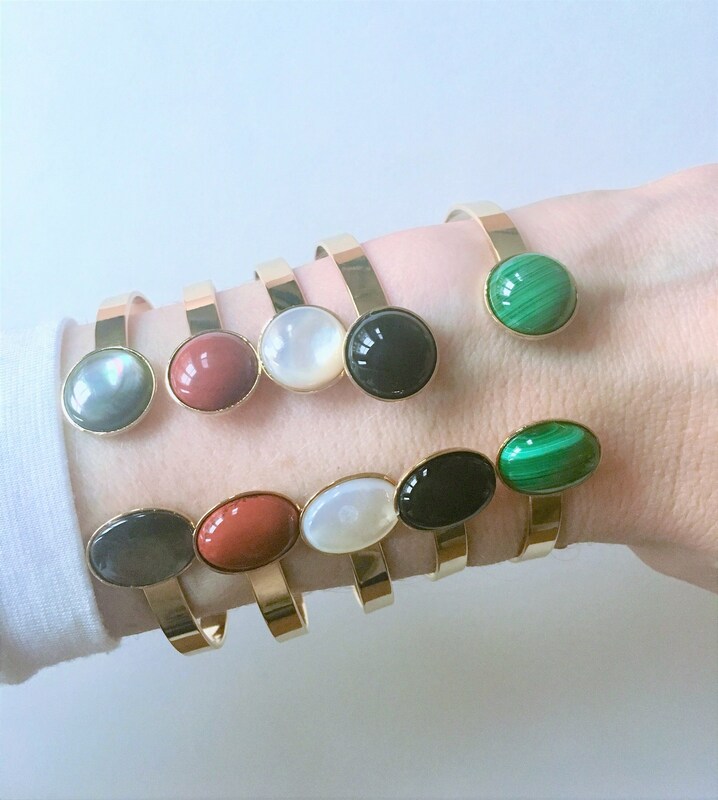 Each black agate semiprecious stone is unique. 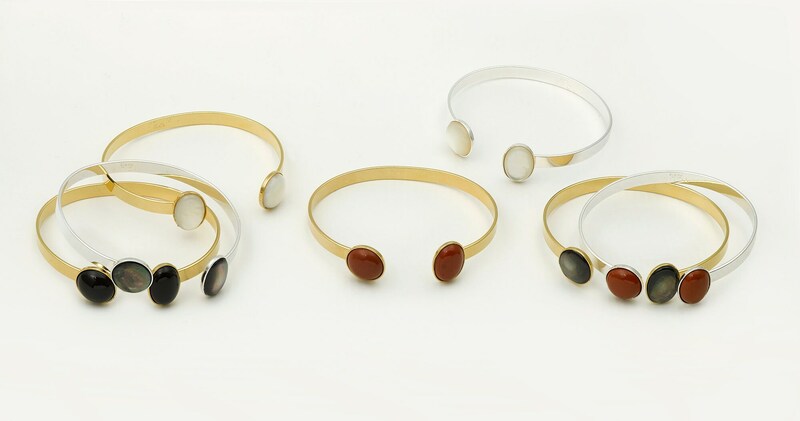 The golden and black agate stone bracelet can be worn alone or together with other bracelets in the range.